Don't miss out. There's only 5 available and 2 other people have this in their cart right now. Don't miss out. There's only 1 available, and 2 other people have this in their cart right now. 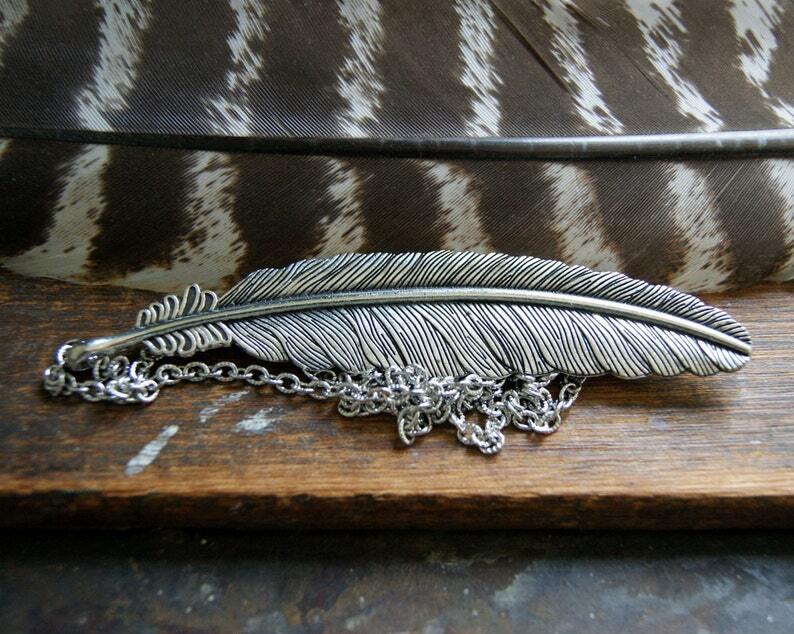 A large antiqued silver feather pendant measuring 4 1/4" hangs vertically from a stainless steel chain. This necklace measures 30" and does NOT have a clasp. The feather is a zinc alloy base and is nickel and lead safe. You can see the front and back of the feather in the last photo. Got the silver and copper for my bf and he loved them! Fast shipping. Easy transaction. Thank you!! !